Back around mid last century, after John Kerry had lost (with the help of vote shenanigans in Ohio) the presidential election to incumbent George W. Bush, there was widespread skepticism that a Democrat not from the south could win the presidency. Then along came Hawaiian Barack Obama by way of the Illinois Democratic machine. He could not have captured the nomination, however, without black voters, who had initially supported Hillary Clinton, at that time the front- runner (and slightly more progressive than Obama). Competing against Bernie Sanders in 2016, the more moderate candidate, Hillary Clinton was (coincidentally or not) the preferred candidate of black primary voters. It's a little history that Steve Schmidt, now a professed Democrat after a career as a GOP strategist, understands far less well than one of the other guests on Friday night's Real Time. Bill Maher, who has emphasized like almost no one the importance of the 2018 mid-term elections, should have (but didn't) know better than to accept on the "overtime" segment of "Real Time" the question "who in the prospective field of democratic candidates do you think would be most likely to beat Donald Trump in 2020?" it's very hard to win the Democratic primary and not be from the south and you haven't named anybody from the south. And I think you have to mix into that group people like Mayor Landrieu of New Orleans and people like that because the Democratic Party primary system swings south so quickly. That's why Bernie had a problem. 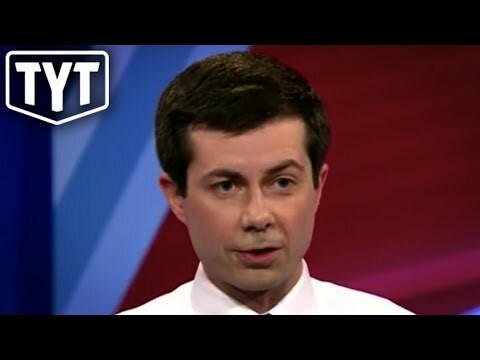 He could have won but he did not get into the south quick enough, did not have a message strong enough, did not connect closely enough with with those, with the older black women voters. And Killer Mike is a great guy but the older black woman goes "Killer Mike, what's a Killer Mike?" So it just doesn't work, right? So this idea of someone from the Midwest or California- it could work, but it's hard. It's hard. Given that the Democratic candidate in 2016 lost because of the Midwestern states of Michigan and Wisconsin and near-Midwestern Pennsylvania, not all would be lost if the candidate were from, say, Ohio. However, strength in the south and among black voters- especially women who are not young- in the Democratic primary process is particularly critical. In his analysis, Blow has nailed it twenty-seven months out.